You’ve seen e-cones before. The huge, unsightly and sometimes uncomfortable protective cones pets will wear after surgery. Now, a non-profit called More Than a Cone has set out to do something more with the notorious “cone of shame.” More Than a Cone gathers modern artists to redesign e-cones into beautiful works of art in an effort to help save pets from kill shelters across the country. The campaign began to change attitudes about the misunderstood cone. 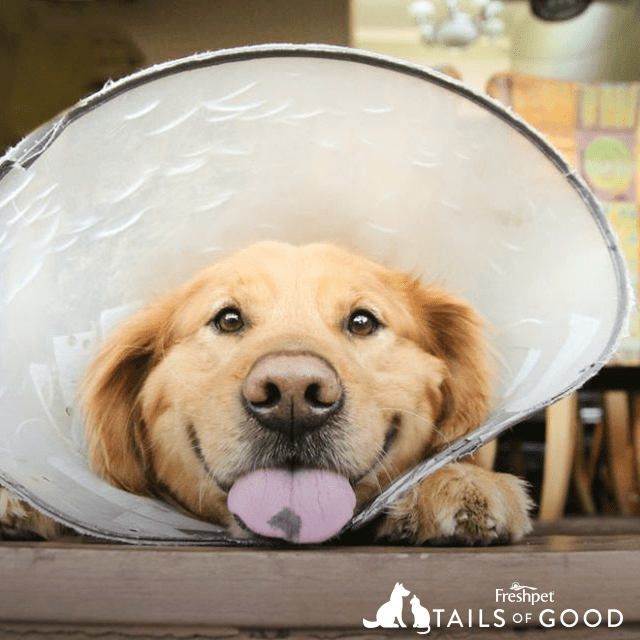 “The cone of shame is an iconic cultural image that’s mostly trivialized in film and television,” their website states, while in fact it’s one of the most prescribed medical device by veterinarians. When used properly, pets can live comfortably while recovering from surgery or illness. But once a pet has recovered, the cone is becomes useless. Their campaign helps to give them a second life. With More Than a Cone’s help, these medicinal white cones become painted, drawn and reconstructed works of art to raise money for a worthy cause. Every year More Than a Cone showcases their artwork at their annual MTAC auction. All of the proceeds from artwork are given to their partner charity, the Best Friends Animal Society. More than 9,000 animals are killed unnecessarily every day, and Best Friends has made it their mission to end the killing of dogs and cats in America’s shelters. More Than a Cone’s campaign has been inspiring to us. In what creative and artistic ways do you think you could give back to pets? We’d love to hear your ideas or any Tails of Good you may have. Write to us at [email protected] to share. No comments. Be first to comment!